When cell phones boomed into prominence in the first decade of the 21st century, it wouldn’t have been a exaggeration to say watches would see a downturn in popularity now that people could see the time easily on their phones — while doing so many other things like texting, calling, swiping, poking and liking. In recent years, though, timepieces have been making a comeback to wrists left and right. Instead of watches, it was wearable technology and smartwatches that tracks steps, heart rate and sleep. So what happens when you combine those two aspects of a traditional wristwatch and wearable tech? You get a hybrid smartwatch. 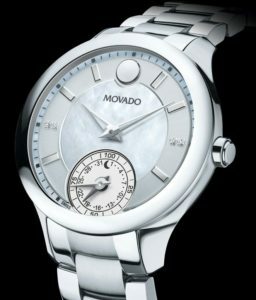 A hybrid watch usually doesn’t feature a touchscreen and doesn’t need charged every day, making it look like a normal watch. That normality helps it fit in as both a fashion accessory and one used for sport all in one. 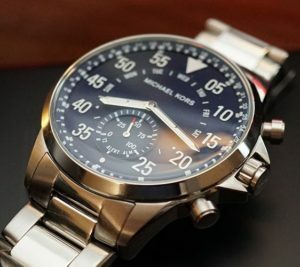 Hybrid watches appear largely as regular mechanical watches. However, most can pair with a downloaded phone application to alert via sound or vibration of notifications. 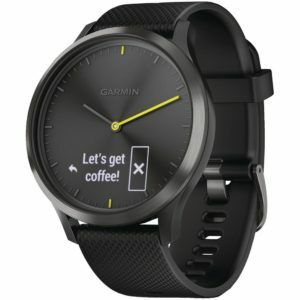 The watch usually keeps track of steps, while the paired app would keep other statistics like calories burned and activity time. 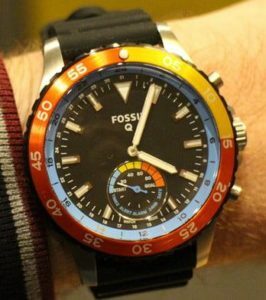 Some hybrid watches have LED screens on the watch face where alerts show. Others will move the watch hands to a certain hour to correspond with a certain notification type. For example, the hands could move to six o’clock briefly because a new Facebook notification is aligned with the number 6. Also, since the watches don’t have touchscreens, the battery life can last months without a change. Very interesting, Mark. Some beautiful timepieces here. As a personal privacy advocate, I have been concerned about devices that track and report my location without getting my agreement to do this. 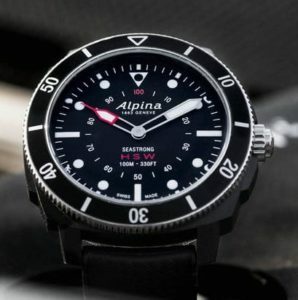 Question: Are there hybrid watches that don’t do that? Because if there are, I would definitely be interested in adding one to my collection. I would appreciate any info that you have on this. Thanks! Way Cool Mark! But, I am a mechanical kind of guy and to me the last old world thing that is still very useful is the old mechanical watch, tick tock! I work with high tech as my profession and really meld quite well with the technology, especially for my age at 60. But you know what, sometimes you just want things to work! We have all been in the check out line when the computer system has crashed or the cashier can not make change due to computer issues. What can I say, there is something to be said about the elegant, simplicity of a system that just works. The timepiece draws power from me, I move my body and it winds the watch and the product that it gives is as useful today as it was 100 years ago! Why mess with something that works. Fact is, I can have anything I want on my smart phone and when the battery dies, I put it down and charge it and use the down time to separate myself from the technology. Usually the watch hangs with me for 3 to 5 years and then it’s off to the shop for rebuild and then the process starts all over again. For better than 50 years, it’s worked for me! Thanks Mark for the great article. 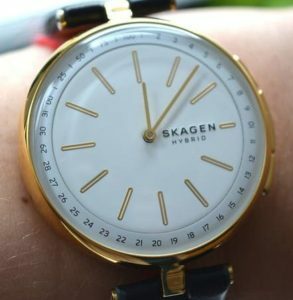 My only observation is almost all reviews I have read of hybrid watches is they are a poor compromise at best when it comes to “smart” functions that promise a lot but deliver poorly. Pass.